The ballad of Hasanaginica or Asanaginica, as recorded in its original writing, is arguably the most beautiful and the most translated Croatian ballad. Indisputably, especially considering the times and the characters, the ballad is also very much integral part of the Bosnian literary heritage. The ballad is not accompanied with the gusle instrument as it is the case with most of the folk songs throughout the lands of South Slavs. Very often Asanaginica was narrated by women, and very likely a woman was an author. The ballad and similar songs were very much integral part of the every day life of the Imotski village life two generations ago. The modern life progress has changed all of this, but as of lately a lot is done in preserving the folk cultural inheritage. Asanaginica was first published by Italian humanist Alberto Fortis in his book "Viaggio in Dalmazia”, 1774. The ballad was translated into German the following year, and very soon in French and English. 1798 or 1799, in English, Walter Scott. The translation was not published until 1924. 1841 in French, Adam Mickiewicz. Among other languages, Asanaginica has been translated into Spanish. Ukrainian, Esperanto, Rumanian, New Hebrew, Dutch, Albanian, Malaysian, Chinese, and Japanese. Asan-aga Arapović had its courts in Vrdol, near today's Zagvozd. He was wounded by Christian soldiers while protecting his property, which has been recorded in a Turkish document. 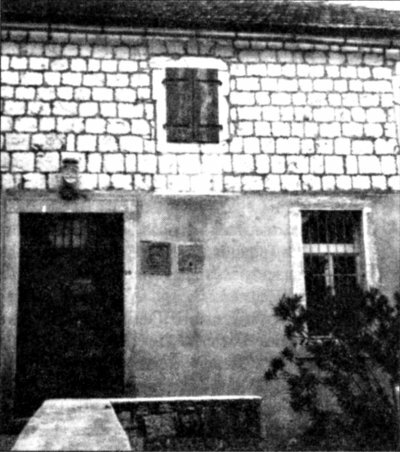 The Asan-aga family descendants still live in the region, having moved to Ljubuški, Herzegovina. Asan-Aga was killed at the end of the Kandian War in 1669. His Vrdol property is still identifiable, but not maintained. Bey Pintorović, Asanaginica's brother was representative of the Klis sanjak, where Asanaginica came after being divorced by Asan-aga. Imotski cadi was also an established historic figure. The cadi quarters were taken over by the franciscan friars who built a monastery there after Imotski was freed from the Turks. According to the people word of mouth Asanaginica's grave is located somewhere south-west of Modro Jezero. Despite the above facts its is not known if the ballad was based on a historic event. In the following table we give three versions of the ballad that could be used for comparative exploration. On the left is a version of the so called "Split manuscript" origin. It is in property of Srećko Dujam Karaman. 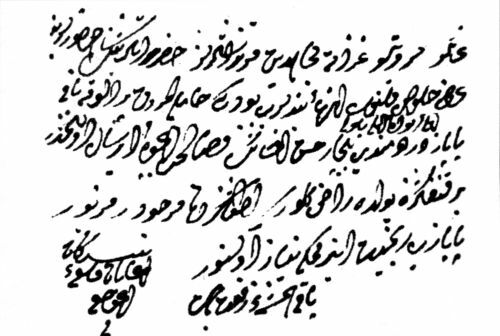 The original text of Fortis, as slightly modified and recorded in "Diversi Pezzi del Viaggio in Dalmazia," by Giovanni Lovrich (Ivan Lovrić, born in Sinj, Croatia 1754), Venice, 1776 is in the middle column. The contemporary version of Asanaginica as selected by Prof. Ivan Juroš, and borrowed from imotski.hr site is given in the right column. An English version with commentaries could be also found there. The "Split" version in its "ikavica and štokavica" dialect matches well the geography where the ballad has originated, i.e. east of village Zagvozd near Imotski. "Ikavica and štokavica" was spoken by both Croats and Muslims around Imotski at that time. Fortis' or Lovrić's version uses "ijekavica" dialect with few "čakavica" words, an interesting mix suggesting a Dalmatian person from the coast has helped Fortis record the ballad, if not himself making the adjustments. One possible source of Asanaginica to Fortis was Julije Bajamonti, an encyclopaedist and musician from Split, a friend who was collecting folk songs and who was also interested in exploring Dalmatian inland. Fortis' version was fully translated to "ijekavica and štokavica" by Vuk Karadžić in 1814, who was not able to find the ballad with the gusle performers on his Dalmatian trips. One of his changes, "Hasanaginica" stuck thereafter. It is not needed to go far to find the reasons for the discrepancy of sound "h." According to dr. Mate Šimundić, Imotski County being a part of Dalmatia, has lost sound "h" in certain words by the end of the 17th century. Another, simpler theory is that the village people, who are most likely the ballad authors tend to "domesticate" foreign names. The evolution of the language and the inevitable changes that are introduced with the acceptance of the balled in the mainstream literature make the contemporary version very silimilar, but different from the original(s). dug podkluvak nosi na. divojku. Scto se bjeli u gorje zelenoj? A Gliubovza od stida ne mogla. Josc-je jadna u toj misli stala. Da vrat lomi kule niz penxere. Bexe muci; ne govori nista. Aj, take te ne xelila, bratzo! Da mi tebe uxinati damo. To complete the ballad versions, here is the Fortis's version facing the great Geothe's translation into German. It was the Goethe's translation, anonymously in Herder's collection of "Folk songs" in 1778 and in his collected songs in 1789 that has made Asanaginica become a part of the world literary heritage already in the 18th century. KLAGGESANG VON DER EDLEN FRAUEN DES ASAN-AGA MORELAKISCH. Was ist weisses dort am grünen Walde? 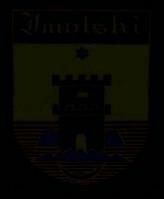 .Niedeirliegt er drein an seiner Wunde. Schamhaft säumt sein Weib zu ihm zu kommen. Rufen nach ihr, weinend bittre Thränen? »Sind nicht unsers Vaters Asans Rosse! »Sieh die Schmach, o Bruder, deiner 'Schwester! Frei sich einem andern zu ergeben. Küßt die Wangen ihrer beiden Mädchen. Liebe Frau zum Weib begehret wurde. Und der größte war Imoskis Cadi. Fest Imoskis Cadi sie zu trauen. Mit dem Schleier, den sie heischte, tragend. Und sie hielten vor der lieben Thüre. Gab sie für die Zulkunft auch ein Röckchen. Als sie ihre Kimder vor sich fliehn sah.